SCIFIT’s commitment to you doesn’t end with the sale. We stand behind our products and are here to support you with our friendly customer service, knowledgeable staff and expert technicians. 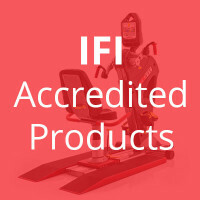 We want to help your business succeed and help you get the best from your SCIFIT equipment. Keeping your equipment running smoothly is our top priority. We know that it is our quality craftsmanship and excellent service that keeps customers like you coming back. We look forward to serving your fitness equipment needs. To expedite your call, please have your serial number available. After Hours – click here to submit a service request form. Our service department will contact you the following business day. Please click the link below for SCIFIT manuals & technical documentation. You can order parts online, by fax, by email or give us a call and we will help you determine the parts you need and place your order for you. Not all parts are available to purchase online. Our online store contains a limited selection of parts, but it’s growing and we are adding more all the time. Please contact our Service Department if you have any questions. To determine if your SCIFIT product is under warranty, please contact our service department at 800-745-1373 or service@scifit.com. Please have your serial number available. For complete warranty details, please refer to the warranty information you received with your product. Extended warranty available. Click here for warranty guidelines. Please take a moment to register your SCIFIT products as soon as they are installed. This ensures your warranty and allow us to serve you better. Click here to register your SCIFIT product. We provide prompt, efficient on-site service through our network of authorized SCIFIT service specialists. To locate a SCIFIT service provider near you, contact us at service@scifit.com or call 800-745-1373. Please watch this short video for tips on receiving your new SCIFIT equipment. Always be sure to inspect your equipment carefully before signing for the shipment. If you have any questions, please call 800-745-1373.